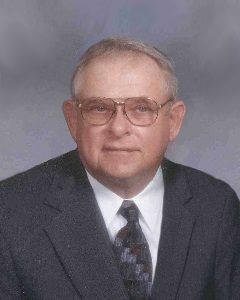 Kenneth “Kenny” Wendlandt, age 87, of Hutchinson, Minnesota, passed away on Thursday, April 11, 2019, at his home in Hutchinson. Memorial Service will be held Wednesday, April 17, 2019, at 11:00 A.M. at Grace Lutheran Church in Hutchinson with interment in Oakland Cemetery. Gathering of Family and Friends will be held from 9:00-11:00 A.M., two hours prior to the service at the church. Kenneth “Kenny” Wendlandt was born on April 8, 1932, in Penn Township, McLeod County on the family farm. He was the seventh of nine children of Christ and Laura (Gruenwaldt) Wendlandt. Kenny was baptized as an infant on May 1, 1932, and was confirmed in his faith on April 14, 1946, both at St. Matthews Lutheran Church in Penn Township. He received his education at the country school in Penn Township. On April 22, 1954, Kenny was united in marriage to Dorothy Kiecker at St. Matthews Lutheran Church in Penn Township. This marriage was blessed with two children, Brian and LuAnn. Kenny and Dorothy lived in Fairfax, before making their home in Hutchinson, Minnesota in 1958. They shared 64 years 11 months and 20 days of marriage. Kenny worked mostly as an over-the-road truck driver for various companies throughout his career. Many Sunday nights as he would be leaving town for the week, he would stop at the corner up the road, honk his horn and wait for the grandkids to look out the window as he would flash his truck lights. Kenny and Dorothy both have been members of Grace Lutheran Church in Hutchinson since 1958. Kenny enjoyed hunting, fishing, many camping trips, and card games. He had the chance to go moose hunting twice in northern Minnesota. Kenny made two fishing trips to Northwest Territories; Great Slave Lake. Traveling was always very much enjoyed as was wintering in Arizona with Dorothy visiting their daughter LuAnn. He always welcomed the kids with dinner mints either from the candy dish or his shirt pocket. Kenny cherished his time spent with his family, grandchildren, great-grandchildren, and friends. Kenny passed away peacefully on Thursday, April 11, 2019, at his home in Hutchinson, at the age of 87 years and 2 days. many nieces, nephews, other relatives, and friends. Kenny is preceded in death by his Parents Christ and Laura Wendlandt; Daughter-in-law, Sheila Wendlandt; Siblings, Esther Obitz and her husband, Theophil, Corrine Biermann and her husband, Alan, LeonardWendlandt and his wife, Dorothy, Raymond Wendlandt and his wife, Lena, Lester Wendlandt and his wife, Hazel, Maynard Wendlandt, Jerald Wendlandt and his wife, Marion; many other Brothers-in-laws and Sisters-in-laws. Your family is in our thoughts and prayers during this sad time. I am sorry for your loss, praying for the family.